We all love our pets more than they could ever imagine. They love us for who we are and we love them for who they are. However, the endless amounts of cat and dog hairs on your clothing and the Pet Odor throughout your home can be a bit overwhelming. Plus, Pet Odor is common and that is on top of the Pet Dander. You obviously wouldn’t get rid of them, but what’s the solution? ONEighty Solutions is here to help you get rid of Pet Odor and Pet Dander for good. While confident your pet is healthy, odors can sometimes be signs of unhealthy pups and cats. The first solution to any unhealthy conditions that are causing odors is to visit the vet. This may not be completely necessary but can help you and your pet feel better. 1-800-PetMeds states: “Yeast and bacteria are present on the skin of all pets, even healthy pets, but the number of these organisms is kept to a minimum when skin is healthy. With infirm, diseased, or aged pets, the skin is less healthy and the number of yeast and bacteria increase. As the numbers increase, malodor increases.” Plus, when cats and dogs get wet the number of compounds that cause odor increases from 16 compounds (dry coat) to 22 compounds (wet coat). Knowing the main causes of pet odors is the first important step to less stink. **Fun Fact** Pet owners typically spend more than 19 minutes on their standard cleaning routine to deal with pet messes. Plus, 49% of the U.S population says they dread visiting homes with pets simply because of the smell. While pet odors are an obvious issue due our sense of smell, a not so obvious health risk for pet owners is Pet Dander. Due to its tiny microscopic nature, these flecks of skin (dried saliva and feces also) from animals, rodents and birds is often the source for allergies. Even of more concern, they can be a trigger for those with asthma. Pet dander can also be more of an issue in terms of cleaning as it is not as visible for pet owners as is hair, urine and feces that create pet odor issues. Due to the light weight nature of animal dander (allergens), they can float in the air for an extended length of time. They also hold a jagged shape with allows pet dander to adhere much more easily to furniture, carpeting, and bedding of homes. Pet dander can actually travel much easier with the indoor and outdoors spaces allowing it to settle anywhere, including places that would normally be pet-free. Before focusing on how to rid your home of Pet Odor and Pet Dander, we’re going to tell you how not to get rid of the odors and animal dander. Sources and research may say certain tactics work best, but they could in fact be prolonging it, not getting rid of it. Home Remedies – While more cost effective, it’s not the best for long-term odorless homes. These home remedies can be vinegar, peroxide, dish detergent or baking soda. They can rid the home of the odors, but it only masks it for a short period before having to repeat the process again. Bleach – Depending on the flooring, bleach tends to be another option for home remedies. 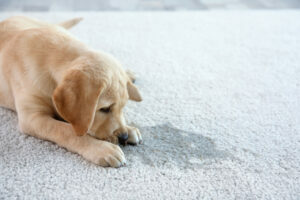 While it serves its cleaning purposes elsewhere, it doesn’t belong in the Pet Odor elimination process. It disinfects those areas; not killing odor. It also is a harmful substance to breathe and is toxic for all pets. 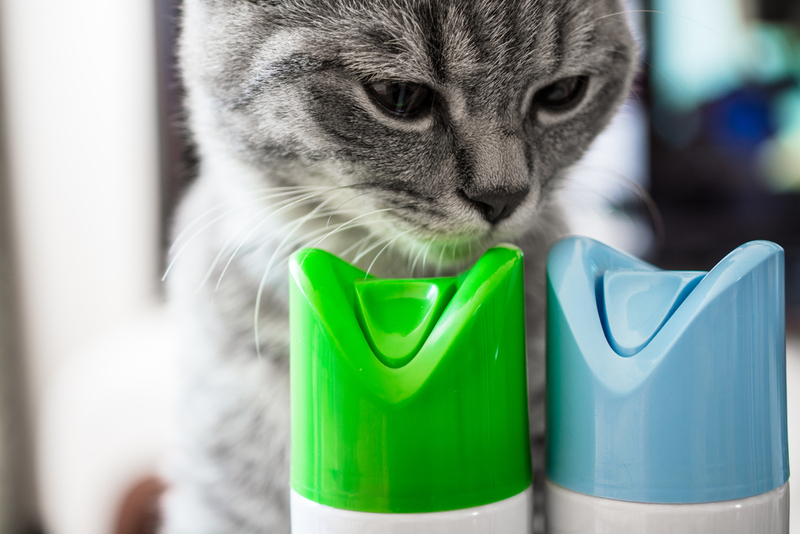 Ammonia – Cat and dog odors already have an ammonia scent to it. Adding to the smell will only worsen the situation. Plus, if crossing bleach and ammonia, that could be lethal if inhaled. Vacuuming – While vacuuming on a continual basis is always a good idea in any home, especially one with pets or allergy sufferers, it can add to pet dander issues. Often too tiny to be totally evacuated, vacuuming can allow dust and dander particles to disperse into a wider area. 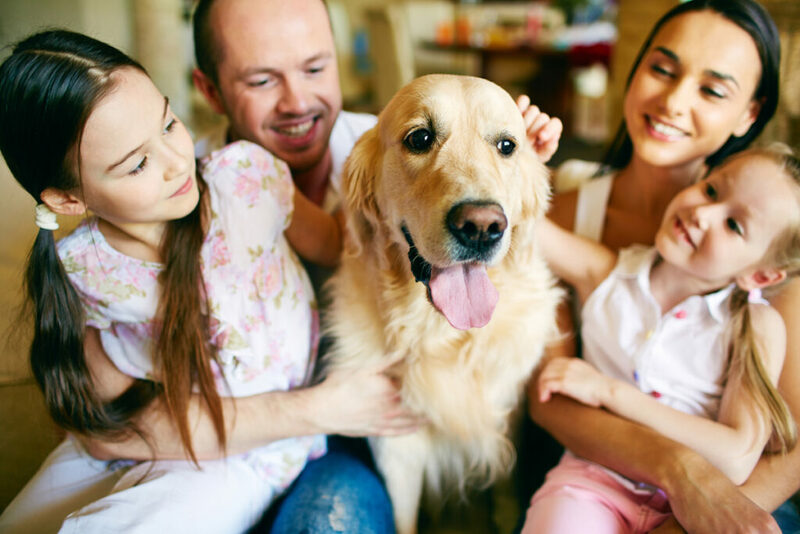 While we recommend using our services to assist you with your Pet Odor and Pet Dander problems, there are additional ways to help keep the pet odors and dander down to a minimum. Air Purifier – Using Pet Odor specific air purifiers is a go-to solution for most. Placing this purifier near a ventilation duct or your pet’s favorite spot is the first step. The windows and doors should remain closed when the air purifier is on to have a greater result. The best time to utilize the air purifier at night. Air Filters – These are beneficial with or without pet odor. Air filters help lessen the amount of pet dander and debris in your home. That, in turn, helps keep your home smelling fresher and cleaner. There are a number of different air purifiers available, but try to select one that is specifically designed to help address pet odors. Fish and Amphibian Tanks – Make sure to keep fish and amphibian tanks clean. For fish tanks, having a good filtration system is not only important to keep odors down, but to keep fish alive. Using fresh plants and changing the substrate monthly will assure amphibian tanks stay odor free. Also, don’t forget to cover the floor to reduce spillage of feces and food. Vacuum – Sweeping, mopping and cleaning all other surfaces are important. Carpeted homes can hold many types of dander and dust alike. Making sure to frequently vacuum your home can lessen dander and keep the pet odor under control. Cleaning chemicals, home remedies and air fresheners may seem like a good choice, but DIY attempts never work and can expose your family to even more harmful chemicals. To truly accomplish pet odor removal and pet dander removal, you need an experienced odor removal company. You need a team trained and certified to remove odors and pet dander quickly and permanently the first time. Using a powerful decontamination process, our BioSweep technology breaks down odors on a molecular level making it the #1 solution for permanently eliminating pet odor. In addition, as a “green formula”, BioSweep encompasses 100% natural, disinfection technology. With ONEighty and BioSweep, we are able to attain complete airborne and surface decontamination of pet odors and pet dander. ONEighty Solutions takes pride in being a certified, industry leader for pet odor and pet dander removal using BioSweep. Our expert team provides superior customer service, careful oversight and a positive removal experience. Our treatment not only provides you with clean, fresh smelling results but, a healthier home and happy animals. For a free evaluation, contact ONEighty Solutions at 678-780-4347 or info@oneightysolutions.com. For more on how ONEighty can help your situation, like us on Facebook and see what our customers have to say on Yelp.